Surely your soul placed in your living heart has seen and known its Creator. When it was in the realm of the souls, before it entered your body, it was taught that the reason of its being was to be His servant, to serve His creation. 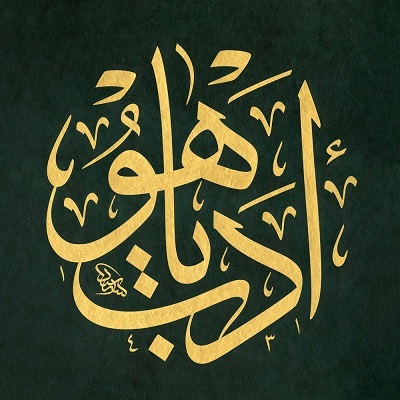 The Jerrahi Order of America aims to conduct and maintain services for divine worship and religious observance in accordance with the doctrine and customs of the Islamic faith. As part of the Islamic faith, charity efforts are extended to people in need both locally and globally. The Jerrahi Order of America is a nonpolitical organization and rejects discrimination based on race, religion, gender and ethnicity. The Jerrahi Order of America is the Western branch of a traditional Sufi tariqat. Our order was founded in Istanbul, Turkey in the 1700’s, by Saint Nureddin Jerrahi, where our first dergah (meeting place) still thrives today. We are a community of dervishes who follow a shaykh (teacher) and our building also functions as a mosque for the wider Muslim community. Our members’ diverse ethnic, professional and national backgrounds reflect the global Islamic community. We hold regular meetings for the study of Sufism, music and the ritual of Dhikr (remembrance). We regularly organize relief projects such as support of homelessness programs, local food pantries, local and global distribution of school supplies, blankets, food and clothing, and support of scholarship funds. We sponsor cultural events such as concerts, festivals and public dhikrs, and offer education about Islam to a myriad of school groups and organizations. The Jerrahi Order has published many books and articles. We have a prison liaison program, and collaborate with various local interfaith groups. We have an active youth group that undertakes projects and participates in community service. We offer iftars and tarawi prayers in Ramadan, and host ‘Id prayers for the wider community. We belong to the United Mosques of Rockland. The Jerrahi Order has centers in Turkey, Chestnut Ridge, NY; Philadephia, PA, Redwood City, CA; Chicagi, IL; Bosnia, Germany, Italy, Spain, Canada, Argentina, Chile and Brazil, and has members all over the world. If you would like to know more about the teachings of Sufism, please browse through our Library . Summaries of our ongoing relief projects are listed under Relief Work. Our meeting schedule is posted under Locations on our website, Jerrahi.org.